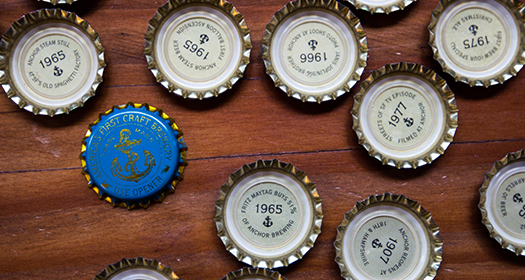 Anchor Historian Dave Burkhart brings us interesting tales of Anchor’s past, guided by the factoids printed on the underside of Anchor Steam Beer crowns. 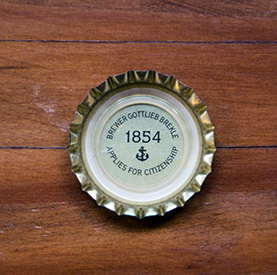 Under every Anchor Steam Beer crown (we brewers call bottle caps crowns) is a little piece of Anchor lore. Each represents anywhere from ounces to tons of research, and there are over 200 different crowns in all—start collecting them now! In the Under the Crown blog series, I’ll offer a brief elaboration on each UTC factoid (Under The Crown—another industry term). 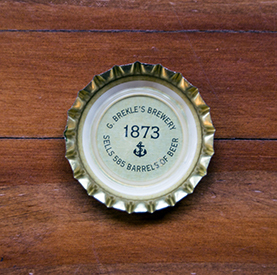 Early dates like this are from what I call our pre-history, before 1896 and before our brewery’s name became Anchor. 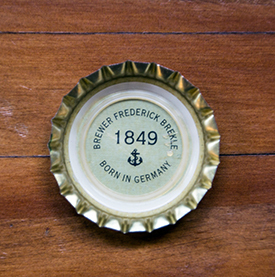 Frederick Brekle—ironically known as Fritz—was the son of our first brewmaster Gottlieb Brekle, who arrived in San Francisco with his small family at the height of the California Gold Rush. After Gottlieb’s death in 1888, Frederick tookover the business. Researching San Francisco history can be quite a challenge because most of its records were destroyed in the 1906 San Francisco Earthquake and Fire (see below). 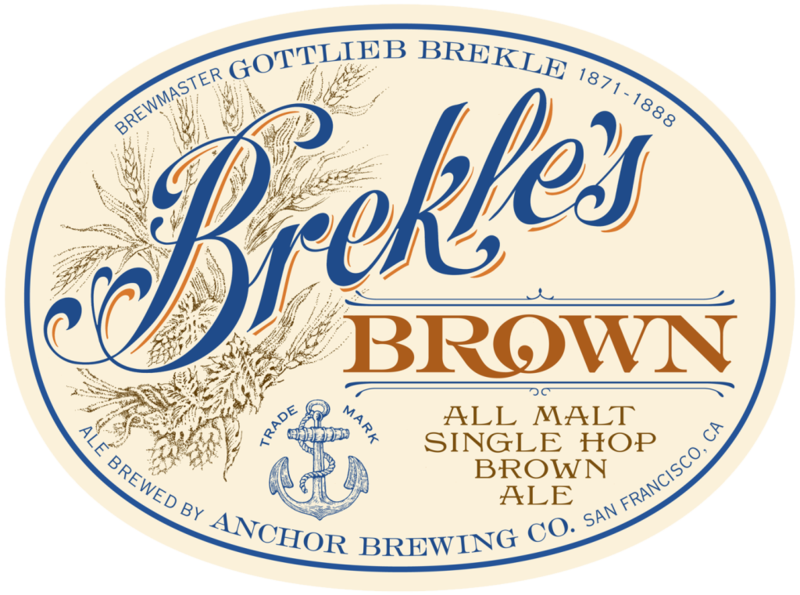 Some records, however, are preserved in the National Archives, like German brewmaster Gottlieb Brekle’s naturalization papers. 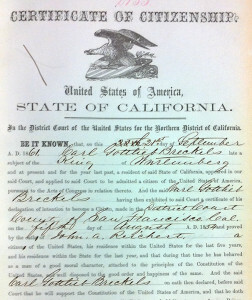 During his lifetime, Gottlieb’s last name was spelled many different ways: Breckle, Breckel, Breckels, you name it. We use the spelling that his descendants use today. B y 1895, what had once been known as the Golden City Brewery had become the Lux Brewery, owned by its principal creditor, maltster Frank A. Lux. In 1896, he sold the brewery to brewer Ernst F. Baruth and his son-in-law Otto Schinkel Jr., who changed our name to Anchor. 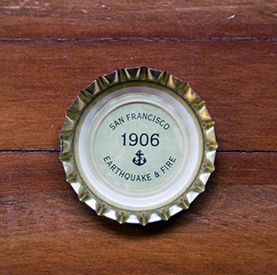 That’s why we have said Made in San Francisco since 1896 on every bottle of Anchor Steam Beer since we started bottling in 1971 (but that’s another story). On Wednesday, April 18, 1906, just before dawn, the San Andreas Fault rocked California. 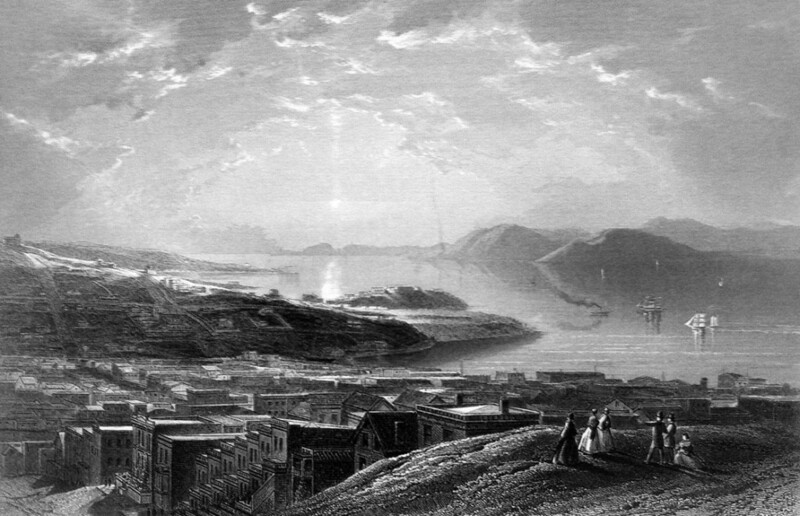 In San Francisco, the temblor and its fiery aftermath destroyed 508 city blocks and left over 200,000 homeless. 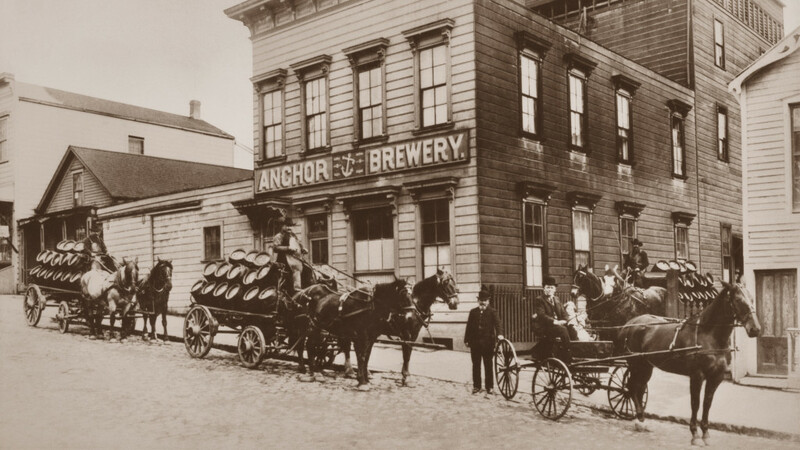 Our brewery, on Pacific between Larkin and Hyde, had been there since 1871. 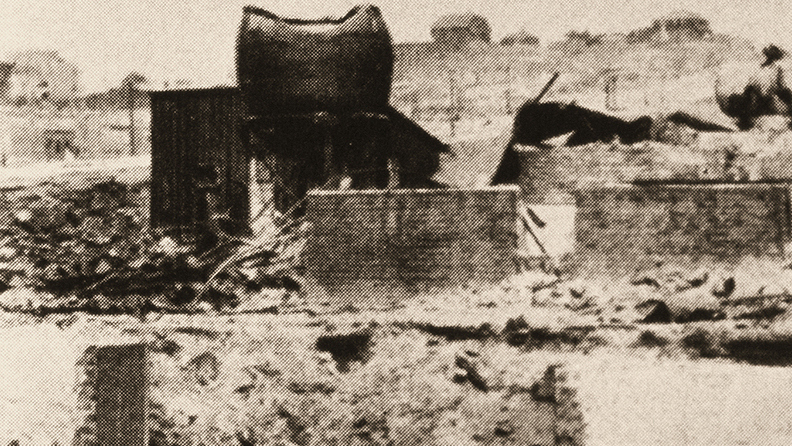 Its wood-frame building burned on Thursday, April 19, leaving only a partially crushed brewkettle behind—an eerie monument amid the devastation. 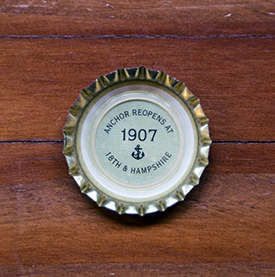 Super cool idea Anchor Brewing. Your labeling is of the nicest quality of any other brewery. Wish I had them all.